The temperature is set to drop. For me that means it’s time to bring out the slow cooker. What I love is how such little effort brings such great rewards. 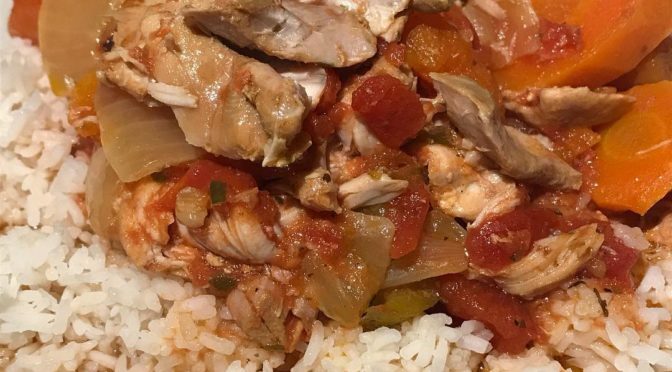 This chicken casserole took minutes to prepare, hours to cook and then was devoured. Plus the house smells amazing when you get home. So here is the recipe for you. This is totally something to make your own, use whatever you have in your store cupboards remembering to add a little liquid but not too much! I served ours with extra veggies on the side (I have a broccoli addict of a child) and rice. 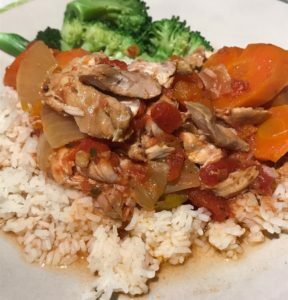 My children love a slow cooker meal as it’s always so soft, easy to cut and chew. Pop into the slow cooker with the chicken and all other ingredients. Cook on high for 5 hours.